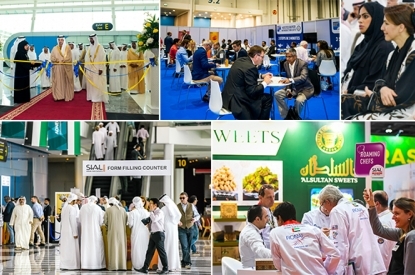 SIAL Middle East, organized in partnership with the Abu Dhabi Food Control Authority, and colocated with the On-board catering and Date Palm Exhibitions, brings together the retail, foodservice and beverage industries under one roof. 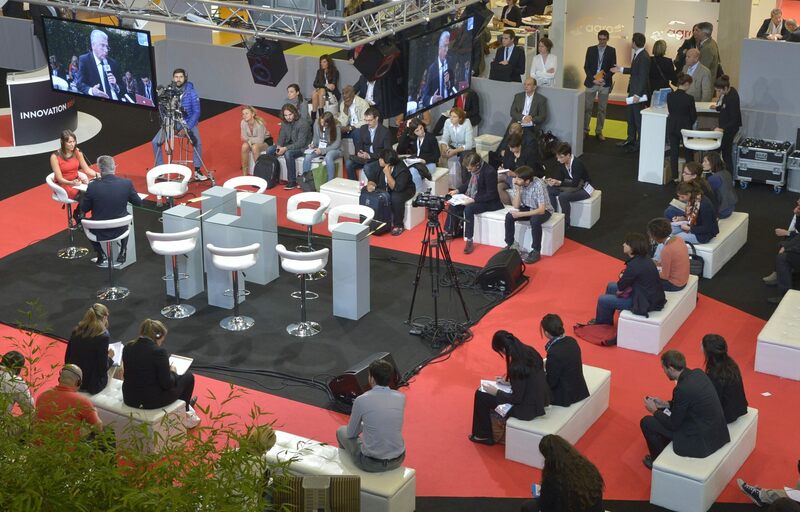 Doubling its size since 2010 and achieving a 30% increase in visitor numbers each year, it welcomes thousands of professionals among whom are more than 498 VIP hosted buyers from 41 countries. La Cuisine: Organised by the Emirates Culinary Guild, La Cuisine is now region’s largest culinary competition and a favourite meeting point for food service professionals. 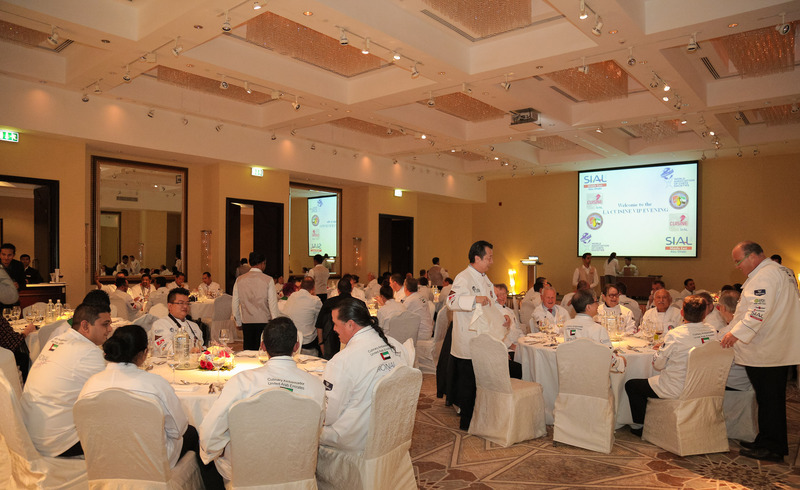 The event this year hosted more than 1,000 chef competitors from all over the region to compete across 19 different categories with winners from Jumeirah Group, Emirates Palace and Gloria Hotel. 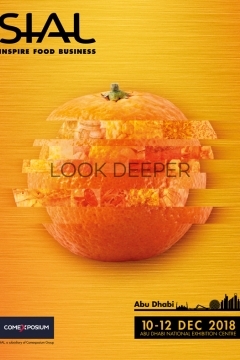 SIAL Innovation:A unique celebration of 43 most innovative food and beverage products out of 150+ submissions. All finalists were displayed within the dedicated Innovation Area at SIAL Middle East. 3 innovative products from United Kingdom, France and United Arab Emirates were judged Gold, Silver and Bronze winners respectively. La Cuisine VIP Evening:150 senior chefs from the region and select exhibitors network in an informal setting at the spectacular Shangri-La Abu Dhabi. The Mercurys: The Mercurys is the most prestigious award in travel catering, worldwide. Judged by a panel of independent experts, the 36th edition recognised the very best in travel catering with five main award categories spanning airline meals, service, general on-board food and beverages and equipment. 180 senior executives from airlines and airline catering companies attended the 2017 edition of the awards. Roaming Chefs: Senior executive chefs representing regional and international hotels & restaurants took guided tours around the show number of times during the day. More than 800 introductions were made as part of the programme. UAE National Coffee Championships - NEW FOR 2017 Certified by the World Coffee Events (WCE) and sanctioned by the Specialty Coffee Association (SCA), 3 coffee competitions were part of the UAE National Coffee Championships. Abu Dhabi Food Security Roundtables: Food Security Center - Abu Dhabi (FSCAD) brings together top government officials, CEOs and industry experts to discuss ways of ensuring the availability of affordable, sustainable and nutritious food for the region. 2 panel discussions were part of the roundtables in 2017 with the impact of the political situation in the region and government and private sector partnership model taking centre stage. SIAL Conferences: SIAL Conferences featured sessions for the travel catering sector including a keynote speech by Joe Leader, CEO, International Flight Services Association (IFSA) / Airline Passenger Experience Association (APEX) and Coffee in the Skies by Specialty Coffee Association. Dining & Nightlife Abu Dhabi also hosted 4 digital media and PR specialists to talk about customer experience and best practices for working with influencers. Meet the Influencers - NEW FOR 2017 Part of the Digitalise feature, this was an opportunity to meet top F&B influencers in the region with a combined reach of 700,000 followers. Visitors can expect to meet Sana on Food, When Judy Ate The Kela, Dine With Sally, UAE Socialite and A to Zaatar. Hosted Buyer Programme: Up to 500 buyers from 40+ countries to promote business matching at the show. SIAL Middle East hosts buyers with a minimum purchasing power of US$ 500,000 and fully covers flights, accommodation and airport transfers. In 2017, 498 hosted buyers were part of the programme, resulting in 10,044 meetings and introductions with exhibiting companies. Hosted Buyer Introduction Suite:A private dedicated space for exhibitors to meet with batches of selected Hosted Buyers. 9 sessions based on product category were held in the Hosted Buyer Introduction Suite over the 3 days. More than 5,200 introductions were conducted as part of the programme in 2017. Middle East Food Forum - NEW FOR 2017: Middle East Food Forum was a hub of activity with more than 300 of the country’s top restaurateurs, franchisees, franchisors and investors in presence to discuss the biggest challenges faced by the F&B hospitality industry. 50+ top industry speakers and thought leaders offered unique outlook in to the local restaurant industry and overall F&B business. Digitalise - NEW FOR 2017 A dedicated feature where marketing & communications professionals from hotels, restaurants and cafes consulted with a 2 leading social media agency (Digital Farm) and PR agency (Acorn Strategy) to improve their communication practices and increase footfall. Healthy & Organic Pavilion – NEW FOR 2017: 8 exhibitors from around the world showcased healthy, organic, ‘free-from’ and well-being food & beverage products.